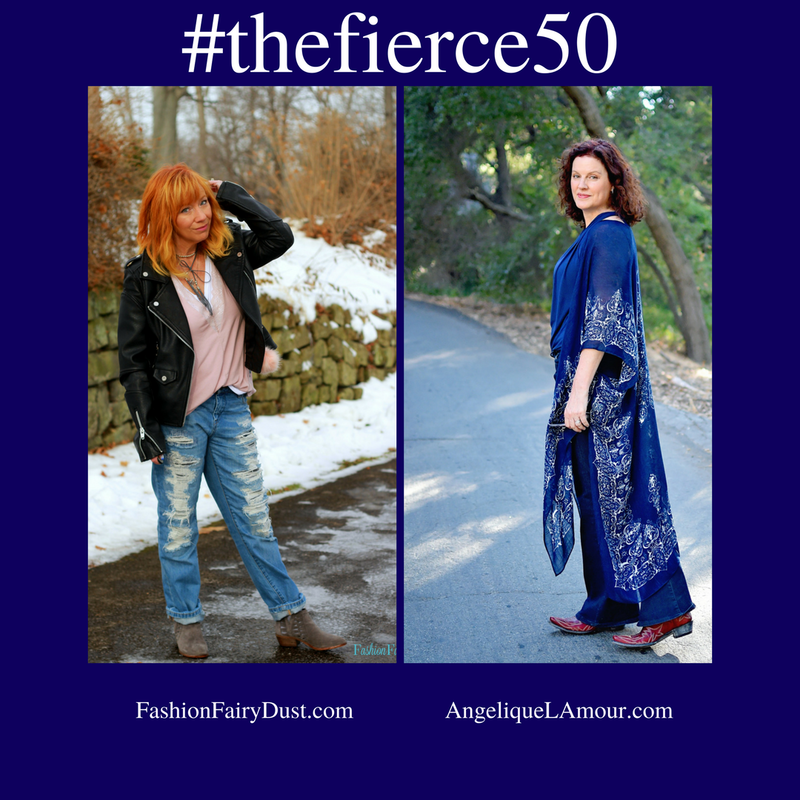 Today, Feb 19th, marks the launch of the first annual Fierce 50 Campaign, bringing together female bloggers over the age of 50 in a celebration of midlife on the 50th day of the year! Debbie is a vivacious redhead who is a teacher of special needs middle school kids. Right there my hat comes off to her. Teaching middle school is a challenge and to take special needs kids and make them feel safe and valuable is a calling that challenges even the most gifted people. She thrives on it. Along with being mom of two kids of whom she is very proud she is also a wife of 28 years. Love long marriages! She knew from an early age that she wanted to be a special ed teacher. Her brother, who was disabled, passed away when she was five and both him and the loss of him imprinted deeply on her soul. Her mother passed away when Debbie was 17 but this did not dissuade her from following her dream. She encouraged herself and found the energy and intelligence to challenge the expectations of those around her including her high school college counselor. Debbie worked hard to put herself through college and become a teacher. All of this would be enough to have a fulfilled life, a job she loves, a family she loves, but deep inside was a burning desire to do more. 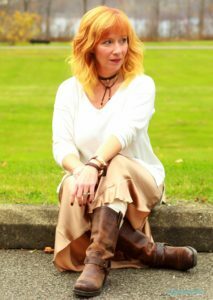 And so her blog fashionfairydust.com was born with a hope of being an inspiration to others to enjoy fashion no matter what their age. Debbie began blogging in May of 2013 and when visiting her blog you are struck by how vibrant she is. Her fiery red hair along with her fashion choices make you stop and take notice. I sat down to read a number of her posts and found myself enamored with her style. Her blog is colorful and fun, but there is more to it than that. Fashion is always a part of her posts, but she also is a gifted writer who speaks from her heart about things that are important to her. Somehow weaves those thoughts into an outfit without a moment’s hesitation. 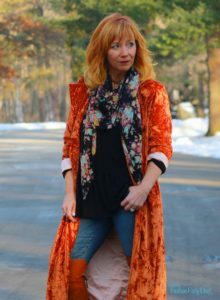 She wears more color than I do but right now I am inspired to throw more into my wardrobe simply because of reading her blog! I have to also say she has a wardrobe of over the knee boots that is killer! Debbie began fashionfairydust.com as a fashion outlet. 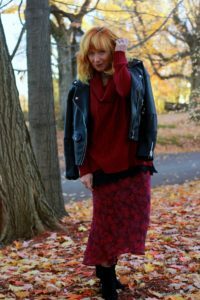 She throws fashion rules based on age to the wind because, “What fun is that?” There is a small dress code at her school—no ripped jeans, no aggressive logos but that is not really what led her to create fashionfairydust.com. She blogs to express her whole self and manages to do so at a price point that is available to many people. She makes her outfits look top drawer fashionable but finds her pieces combing sales and lesser known website stores. I personally love this. I stopped taking fashion magazines by subscription after they kept featuring 500 dollar shoes like that was a normal price for a shoe and available to all. Speaking to Debbie on the phone last week was a blast and we got along like we had been friends for years. The wonderful thing about The Fierce 50 Campaign is that we are all getting to meet women we might never have met otherwise. I will say I wish we could have met in person. She is petite and I am a giant so our photos would have been a blast to take! Me in a hole or her on a box! To read Debbie’s Blog visit FashionFairyDust.com She will be posting a blog about me today as well! I find that one thing women bloggers over 50 have in common is a positive outlook. Perhaps it is that we have lived long enough to know that nothing lasts forever both the good things and the bad. This makes us appreciate what we have, what we have worked for and also keeps us from sweating the small stuff. Age brings wisdom and the knowledge that you can survive anything for 5 minutes, five months or even five years because it will change. We also, like Debbie, find the good and positive in our daily lives. Maybe that is the gift of blogging that through our writing and our photos we can find the good in any moment. Just give us enough words and a great fitting pair of jeans. If you have enjoyed reading this blog post and learning more about The Fierce 50 Campaign, please visit Fierce 50 Page to see an archive where you will find each of the women that are participating in The Fierce 50 along with their blog posts. If you or someone you know is interested in either joining or supporting the movement, please contact info@catherinegraceo.com for more information. We have lots more planned for this year and beyond so, stay tuned everyone. 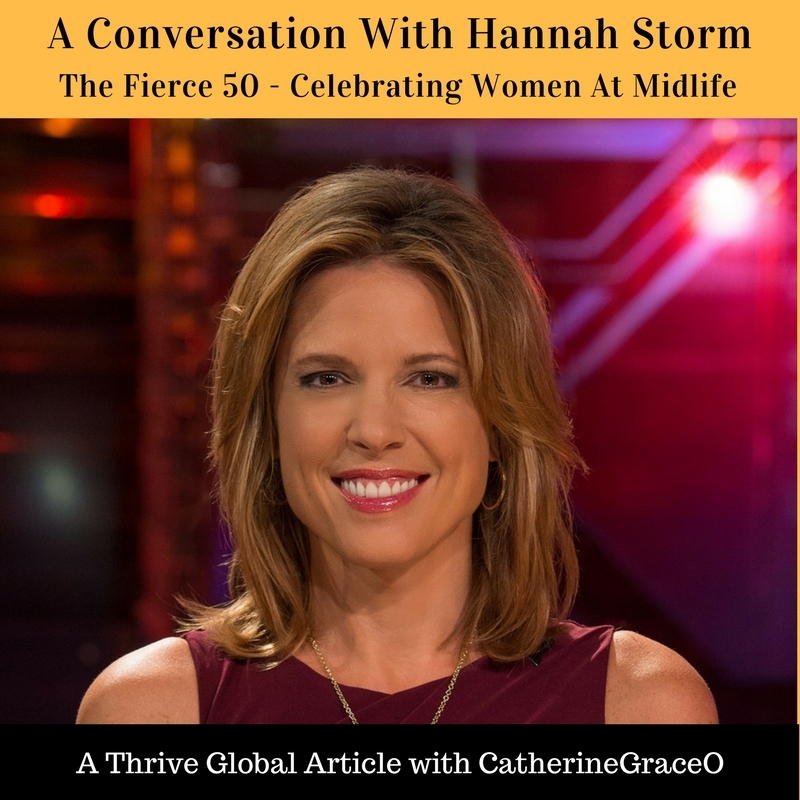 Thank you to the vibrant and encouraging Hannah Storm for her support, for joining us, and for sharing her journey on the newly launched Thrive Global. 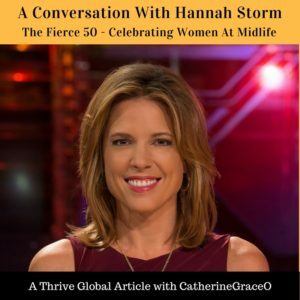 Hannah, we applaud you and the incredible work you have done lighting a path for women to succeed in so many creative endeavors after the magical 50! It was my pleasure! 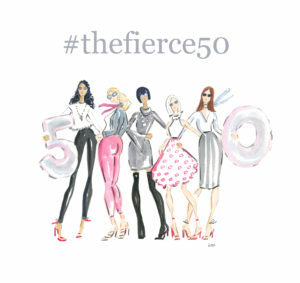 I love getting to know the women of #thefierce50! I’ve been loving Debbie for some time now. It’s fantastic to meet you now as well. Beautifully written Angelique. ? Thank you, Brenda. Love getting to know you too! Glad we are both still here.